Imagine a landscape untouched by man where caribou roam today as they have since their evolution. Where caribou become synonymous with the land and their game trails are entrenched in and become part of the terrain. Where the area is referenced by names such as Caribou Valley and Caribou Lakes. An area so spectacular in scenery and so rich in game that it has been set aside as Wildlife and Ecological Reserves. 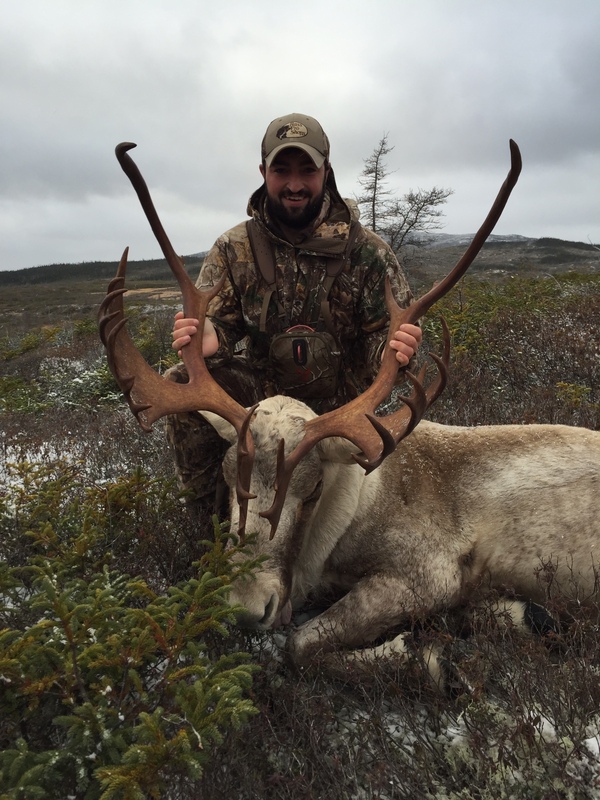 Sou’wester Outfitting offers trophy Woodland Caribou hunts in just such a location. Sou’wester Outfitting’s Caribou Lake, Indian Pond and Little Lake hunting lodges, located within the Little Grand Lake Wilderness and Little Grand Lake Ecological Reserves, offer ideal habitat for spotting and stalking caribou. The caribou (Rangifer tarandus) is the most extensively distributed big game animal in Canada and Newfoundland’s Woodland variety is the world’s most southerly herd. Although there are small numbers of Woodland Caribou in other locations in Canada, Newfoundland offers the only significant opportunity to take this trophy Woodland Caribou. The Caribou herd in the vicinity of Sou’wester Outfitting’s three hunting lodges at Caribou Lake, Indian Pond and Little Lake contains many trophy class animals. Large males, weighing upwards of 500 lbs. and sporting an impressive, mahogany coloured, antlered crown is beautiful to see and a challenge to hunt. The mating period for caribou usually occurs during the period of early October to mid November. Sou’wester Outfitting’s Woodland Caribou hunts are truly world class and are second to none in quality. Experienced guides, knowledgeable in the use of rifle, bow hunting and black powder, will do everything they can to ensure a successful and enjoyable caribou hunt. For most years Sou’wester Outfitting’s success rate for non-resident bow, muzzleloader and rifle hunters is 100%. 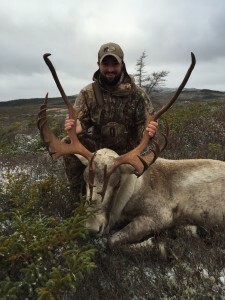 The Black Powder World Record for Woodland Caribou was taken by Sou’wester Outfitting. Sou’wester Outfitting’s caribou hunts are one week in length and one-on-one guided. All hunts run from Sunday to Sunday and are fly-in with helicopter access to the remote hunting camps. The terrain at all three sites offers ideal caribou habitat with a very healthy caribou herd. Committed guides go beyond the call of duty to ensure success. Most hunters are fortunate to take or have the opportunity to harvest their moose early in the week. Sou’wester Outfitting’s guides are enthusiastic and committed for the entire hunt and are on site for the seven days. All hunts are fly-in only and are for a week duration. Our Caribou hunting packages include float plane or helicopter access to the lodge, home cooked meals, personal guides on a one-to-one ratio and all in-field handling of game.